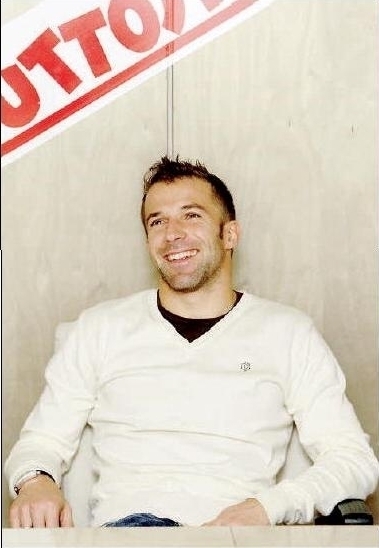 del piero - tuttosport. . Wallpaper and background images in the Alessandro Del Piero club. This Alessandro Del Piero photo contains sign, poster, text, and chalkboard. There might also be drafting table, drawing table, workwear, and leisure wear.